We have our official voted state delegates for the 2018 Idaho Democratic Party State Convention. 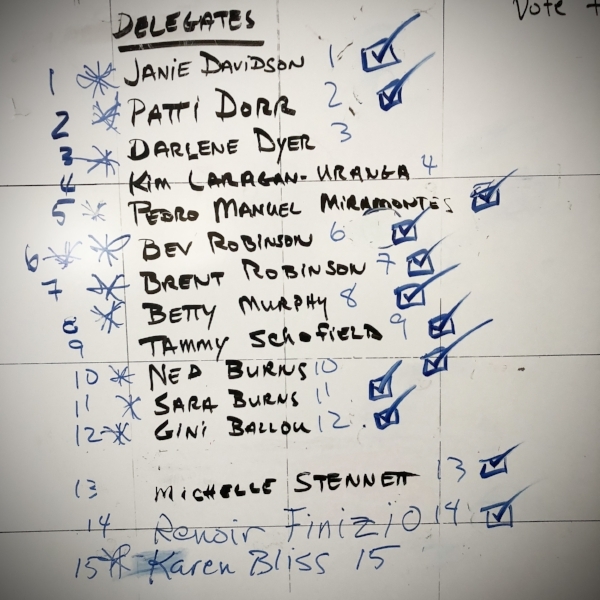 Thanks to everyone who stepped-up and signed-up for being a delegate candidate. We are so happy that so many people wished to be part of this experience! Blaine County, you're one engaged group of citizens. Our state delegate caucus was brief and efficient—and also fun as it was during our Headquarters Open House. Delegates, congratulations and thank you for becoming a delegate to the Idaho Democratic Convention on June 29–30 in Caldwell. Although elected, Senator Stennett and Janie Davidson decided not to attend as to encourage more participation from our local Democrats.